Thermistors are a generic name given to thermally sensitive resistors. The word comes from a combination of "thermal resistor". NTC(negative temperature coefficient) type has characteristics in that as its temperature goes up, its resistance comes down. PTC(positve temperature coefficient) type has characteristics in that as its temperature goes up, its resistance goes up too. It is a semiconducting ceramic resistor produced by sintering the materials at high temperature and uses metal oxide as its main component. The most commonly used oxides are those of manganese, nickel, cobalt, iron, copper and titanium. The thermistor resistance values are normally classified at a standard temperature of 25 °C. B constant is the value calculated from the resistance values at 25 °C and 85 °C. Most NTC type manufacturers provide tables of either resistance or resistance-ratio versus temperature for each of the material systems that they offer in their respective product lines. Often the manufacturer will also provide the coefficients for the various parts equations in order to assist the designer or user to interpolate the R-T data. The resistance of a temperature is a function of its absolute temperature. As electrical power being dissipated within a temperature may heat up above its ambient temperature, thus reducing its resistance, it is necessary to test for resistance with temperature. The resistance measured in this way is called RT, which means the resistance is at zero power. Dissipation factor is the power in mW required to raise itstemperature by 1° C.
The current-time characteristic is the relationship at a specified ambient temperature between the current through it and time, upon application or interruption of voltage to it. The maximum operating temperature is the maximum body temperature at which the thermistor will operate for an extended period of time with acceptable stability of its characteristics. This temperature is the result of internal or external heating, or both, and should not exceed the maximum value specified. The maximum power rating is the maximum power whicha thermistor will dissipate for an extended period of time with acceptable stability of its characteristics. 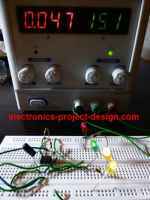 Thermal time constant is the time required by the thermistor to change 63% of the difference between its initial and final temperature.